Dancer and choreographer Flora Wiegmann looks for the spaces of intersection between the visual arts and performance. For nearly fifteen years, she has located her movement-based practice within the context of visual arts institutions and public sites, such as parks and beaches, rather than the proscenium or theater. Her projects are often structured within a precise conceptual framework, which might be instigated by a site, a specific historical reference, or a current event. For Made in L.A. 2018, Wiegmann has created a new piece, Reduction Burn, in response to a sense of vulnerability that seems to be permeating all aspects of our lives today. The artist considers California’s recent wildfires as a destructive force and as a metaphor for upheaval and entropy in other arenas, such as politics, and for incidents in her personal life related to aging and illness. 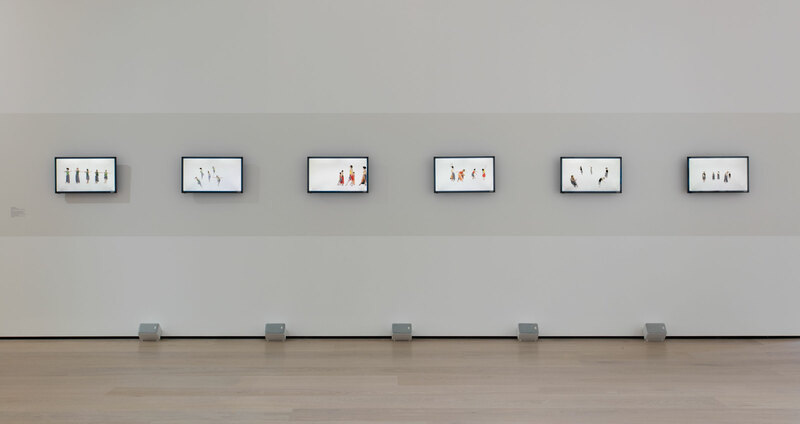 Each channel of the six-screen video installation presents a different iteration of the same dance. The piece begins as an intact set of movements and then devolves and deteriorates, looping around to eventually begin at a similar position. 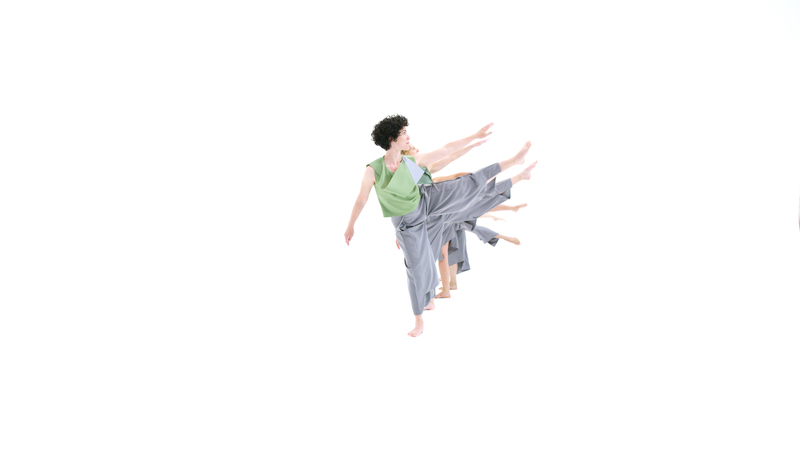 Additionally, both the sound, by composer Ben Shemie, and the costumes, by Nancy Stella Soto, shift and change with each stage of the dance’s development. Viewed together, visitors can see the dance as a whole or watch any given section more intimately. The altered movements suggest disintegration over time but also the growth and renewal that can accompany periods of concentrated, and oftentimes difficult, change. Ultimately, Reduction Burn proposes that we are in a similar transitional stage, and from the rubble, something better will rise. Reduction Burn will be performed live five times during the run of the show. In the live version, each short segment will be performed one after another, resulting in a longer form piece that portrays a process of transformation. Flora Wiegmann (b. 1976, Lincoln, Nebraska) is a dancer and choreographer who works in Venice, California. She studied at Laban Centre for Movement and Dance in London before earning her BA in dance from Columbia College Chicago, in 1998, and MFA from University of California, Los Angeles, in 2007. She has performed live at Midway Contemporary, Minneapolis (2018); Aspen Art Museum (2016); Union Station in the Seattle Art Fair (2016); Occidental College, Los Angeles (2016); Camden Arts Centre, London (2014); Banff Art Centre, Alberta (2009); Whitney Museum of American Art, New York (2008); and the Kitchen, New York (2006). 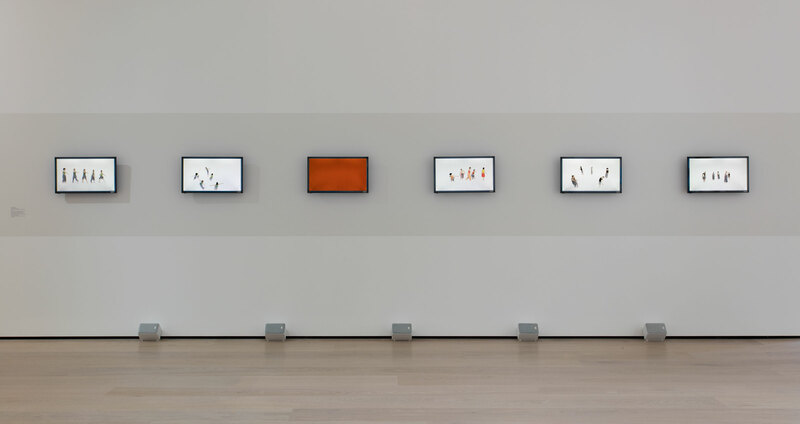 Her film and installation work has been shown in exhibitions at C. Nichols Project, Los Angeles (2014); LAXART, Los Angeles (2013); Université Rennes, France (2013); California Biennial, Orange County Museum of Art, Newport Beach (2010); Contemporary Arts Museum, Houston (2010); and Institute of Contemporary Art, Philadelphia (2009), among others. She has been an artist in residence at the El Segundo Museum (2017), Montalvo Arts Center (2016), and Headlands Center for the Arts (2009).